VLACS: Has one state found the secret to online education that works? EXETER, N.H. — Emily Duggan, 16, spends most afternoons at a dance studio tucked behind a shopping plaza near her home. 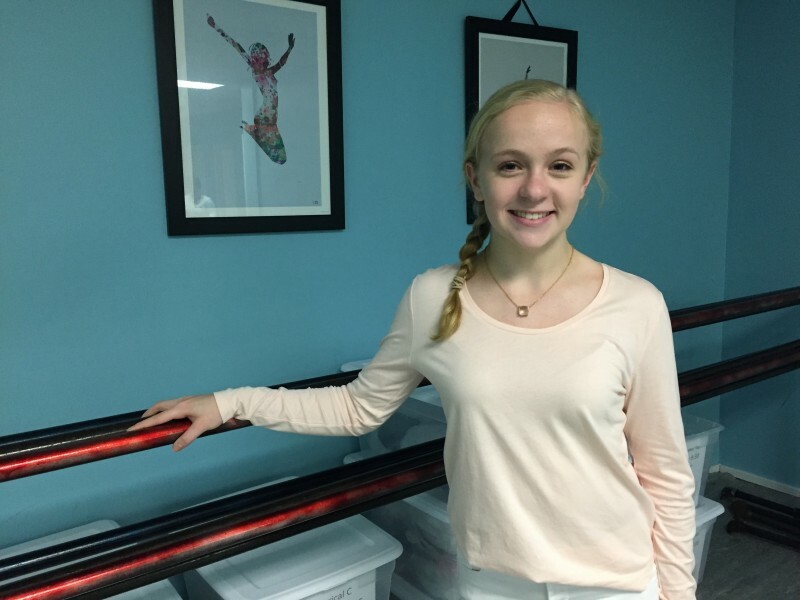 Blond and doe-eyed, Duggan has been dancing since she was two, everything from tap to ballet. She puts in about 12 hours a week at the studio, including classes and rehearsals with the dance team for weekend competitions. Duggan also prides herself on getting good grades in school. But two years ago, the stress of managing both dance and academics overwhelmed her. She was exhausted and losing weight. Some nights, Duggan faced four hours of homework after a day of school and dancing that stretched into the evening, “I would just break down crying and saying, ‘I can’t do this anymore!’ ” she recalled. Her parents agreed. In January 2015, Duggan enrolled in New Hampshire’s self-paced Virtual Learning Academy Charter School (VLACS), joining about 200 full-time middle and high school students and about 10,000 part-timers from brick-and-mortar schools statewide who take VLACS courses a la carte. There is no entrance exam, screening or application required to attend VLACS, which is free for any New Hampshire student. VLACS is part of a nationwide boom: In the last decade, the number of full-time virtual schools has grown from a handful to over 450, enrolling more than 260,000 full-time students and millions more part time. Virtual schools promise flexibility and a universe of learning just keystrokes away. But a slew of recent studies have found lackluster performance at online schools, seriously tarnishing their promise. Amid all the bad news, VLACS stands out as an online success story. On average, the school’s full-time students typically equal or modestly exceed New Hampshire average scores on state reading and math tests, as well as on the SAT. The secret to VLACS’ success may be that it does things differently from most virtual schools. It puts a focus on building strong student-teacher relationships. It breaks up traditional courses into specific skills and abilities, called “competencies,” that students master through a personalized blend of traditional lesson plans, offline projects and real-world experiences. Also, VLACS’s funding is based on student performance rather than enrollment. By zigging when others zag, not only is VLACS outperforming much of the online field using the old yardstick of standardized tests, it might also radically change how students learn. VLACS is headquartered in a former high school in Exeter, New Hampshire — a brick edifice used for a century until the town opened a new high school in 2006. The only students here now are in photos, like the one of a VLACS graduation ceremony that hangs in a classroom turned conference room. Because VLACS is self-paced, students graduate throughout the year, and only about half the year’s graduates show up to the ceremonies held each June. Most of the blue-cloaked graduates, clutching diplomas and mugging for the camera, have never met each other or their teachers, at least not in person. Still, they seek each other out. VLACS’s founder and CEO, Steve Kossakoski, sat for an interview earlier this spring in the conference room with the graduation photo. “Those ceremonies are amazing. Hugs all around,” said Kossakoski, who takes the opportunity to bring up his mantra — relationships matter. “When you think about virtual education, it’s often more about efficiency and getting more students through than it is about relationships,” he said. VLACS doesn’t follow the standard virtual-school practice of enlisting parents and guardians as unpaid “learning coaches” responsible for keeping students on task and motivated, tracking their progress, monitoring comprehension, supporting them when they struggle and acting as liaisons with teachers. That approach offloads too much of the teachers’ responsibilities onto parents, according to Robin Lake, director of the Center for Reinventing Public Education, which published a 2015 study on virtual schools. “That’s the norm right now. And it isn’t looking good in terms of outcomes,” she said. At VLACS, by contrast, teachers learn from their first day about the importance of frequent communication with students and families to overcome the distance inherent in virtual schooling. It all starts with the welcome call. 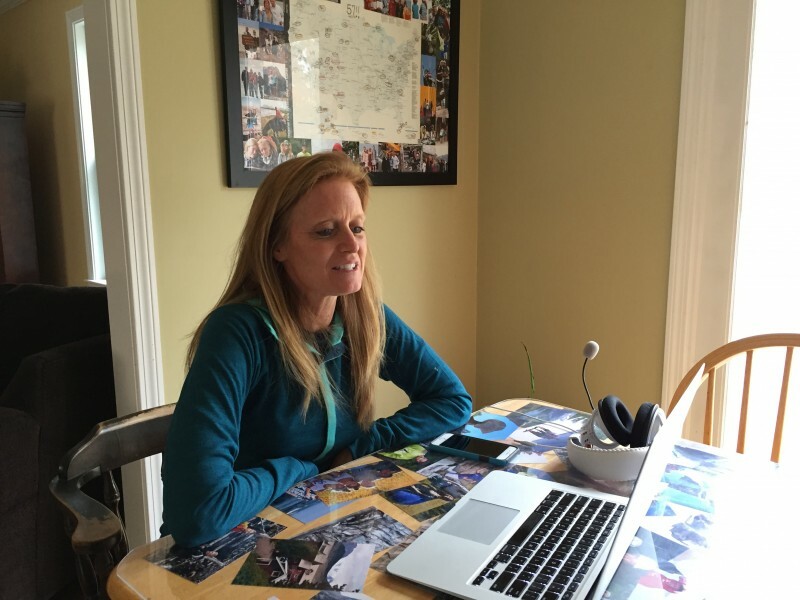 “We talk with every new student and the parents,” said VLACS physical education and wellness teacher Lisa Kent, interviewed at her home in Amherst, New Hampshire. During these introductory sessions, by phone or web chat, Kent explains course logistics — for example, how she and the student will meet (virtually) at least once a month and how to upload weekly assignments. A week later, there’s a follow-up call. “That’s when I ask students why they’re taking my course, and what their goals are,” said Kent. Some students simply need the course credit, of course, but others have a fitness target, struggle with obesity or are athletes who want to increase their strength or overcome an injury. Students do the bulk of their learning independently. They make their own way through online lessons, digital texts and multimedia, and follow links to extra, explanatory resources. They upload all their work. Yet the students and parents interviewed for this story said that they have more one-on-one interactions with teachers than they did in traditional schools. Kent opened her laptop to show the dashboard that tracks her students. She can sort them by grade or by the last time they logged into class, submitted work or checked in with her. 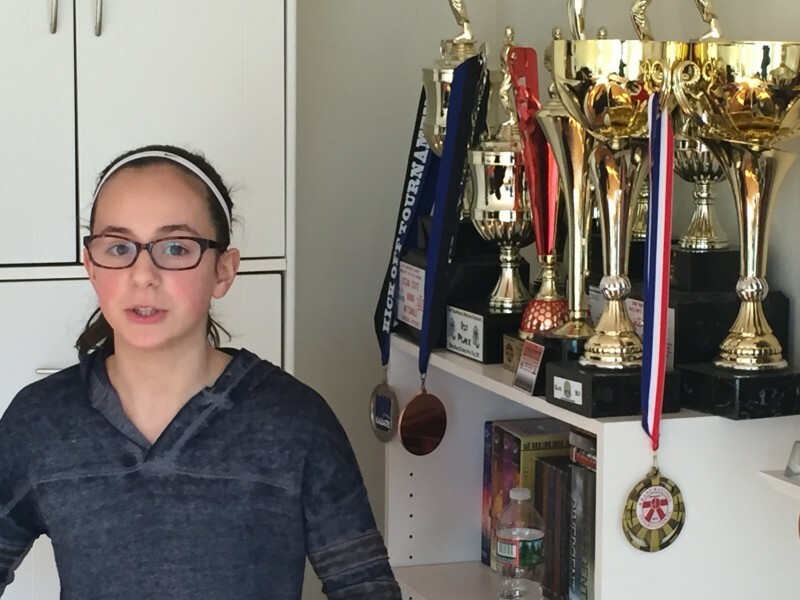 If a student has been inactive for more than a week, Kent will reach out to see if everything’s OK.
That level of teacher communication was the biggest difference A. J. Rando noticed when his daughter, Olivia, a middle school student and a black belt in karate, enrolled in VLACS to accommodate training and competition. Like all VLACS teachers, Kent has “office hours” most days, when students can log in to her online classroom, a Skype-like interface, for one-on-one chats about assignments or feedback on a recent test. If students really need to reach Kent outside of office hours, including evenings and weekends, she’ll oblige. She also responds to student emails immediately, even if her teenaged students aren’t always so prompt. 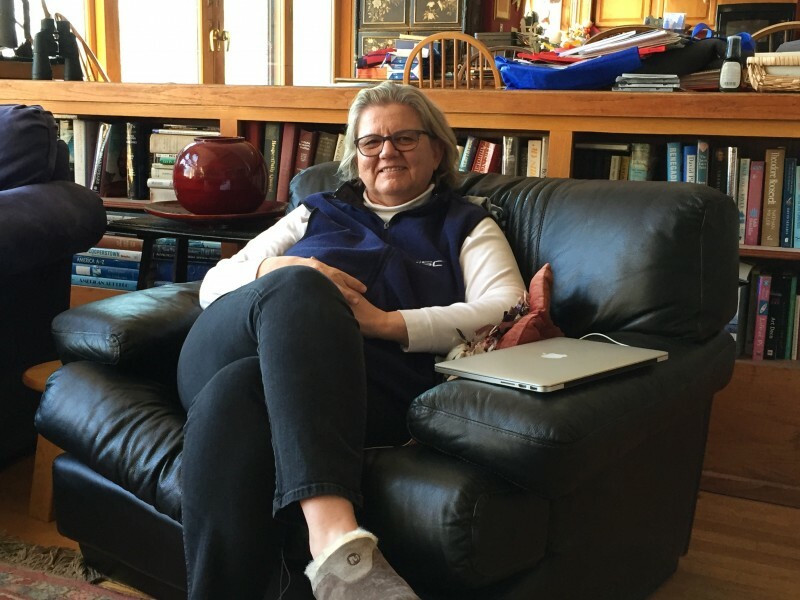 On a bright, chilly March afternoon, VLACS English teacher Bette (pronounced Betty) Bramante settled into a black leather recliner for an interview at her house overlooking Great Bay on New Hampshire’s seacoast. She was referring to her husband, Fred, who was a poor student and graduated 206th out of 212 in his high school class. 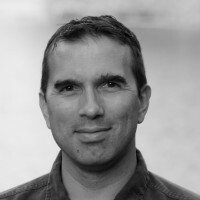 After clawing his way through college, however, he had a distinguished career in education — first as a middle school science teacher (where he and Bette met), then as a long-time member and chair of New Hampshire’s state board of education, and now as president of the nonprofit National Center for Competency-Based Learning. In 2008, during Fred’s tenure with the board of education, New Hampshire became the first state to require high schools to issue course credit for mastering competencies, rather than for fulfilling the requisite number of hours, days or weeks of instruction (aka “seat time”). That same year, VLACS welcomed its first students. Competencies are learning deconstructed. A single course, such as algebra, contains several competencies, which blend some core knowledge, such as understanding linear equations, with broader skills like applied analysis or problem-solving. Instead of a C+ in algebra, for example, a competency-based report card could show that a student has mastered four algebra competencies but hasn’t yet figured out quadratic functions or basic statistical analysis. In a competency-based school, especially a virtual one, semesters lose their shape. While VLACS has guidelines for course completion time and students use an online chart to track their progress, there’s no bonus for mastering competencies faster than your peers or penalty for taking extra time. During the interview, Bramante sat beside her laptop, awaiting an upcoming “discussion-based assessment” with one of her students. Shorthanded as DBAs, these discussions are held for each competency. Regurgitating facts won’t cut it in a DBA, during which teachers ask follow-up questions to probe students’ understanding and the reasoning behind their answers and decisions. Teachers also ask students how they can apply that knowledge. If a student falters, the teacher will recommend that she go back and review certain course material before taking the written exam. At VLACS, the bar for mastery is a test score of 85 percent or better. By contrast, VLACS, a nonprofit, earns its funding based on the number of competencies mastered by its students. Here’s how that breaks down, according to Kossakoski: New Hampshire allocates charter schools about $5,600 dollars a year for each full-time student, assuming the student completes six full credits. A one-credit course is one-sixth of that total, or about $933 dollars. If a student masters just half of the competencies that make up a course, for example, then VLACS earns half of the $933. Related: Online-only charters show dismal performance. What can be done? That calculation also applies to students at brick-and-mortar schools who enroll in a VLACS course to obtain competencies they are missing due to a previous incomplete or failed course, or to access advanced courses not offered at their home school. VLACS’s courses are accepted for credit by every high school and many middle schools in New Hampshire. Not only does VLACS funding depend on competencies, so do teacher salaries, to a degree. They are based on an expectation of how many competencies their students will master over the course of a year. However, teachers can accrue bonuses by exceeding those expectations. Some outside experts question that pay-for-performance model, either due to the risk that teachers may thumb the scale to speed student progress, or because such a system may not fully account for differences in students and subject matter. Nevertheless, Miller did find a different cause for concern over VLACS’s funding model. Specifically, when students at traditional schools take a VLACS course, the state pays VLACS without deducting any funding from the brick-and-mortar schools. The double funding has minimized competition and greased the wheels of partnership between VLACS and the state’s other school systems. Eventually, however, it could be a budget buster. “That’s something they’ll have to wrestle with as their impact grows,” Miller said. Two years ago, the John-Zensky family crisscrossed the eastern United States for two weeks in their minivan, hitting up cities and sites. “It was epic,” said Danielle John-Zensky, standing in the kitchen of her Pittsfield, New Hampshire, home, flanked by two of her kids, DJ, 14, and Delaney, 16. During a typical weekday morning, Delaney spreads out on the living room couch with her laptop and DJ uses the desktop computer in the kitchen. They check out the online chart that shows how they’re progressing in each course. Some days the kids finish by noon; other days they keep going until nearly dinner. When the schoolwork is done, the kids take off in various directions. Delaney volunteers at the library, works as a counselor in a nearby nature camp and teaches skiing all winter. DJ goes snowboarding or practices with the local middle school baseball and soccer teams on which he plays. When the kids aren’t engrossed in these extra-curricular activities, they’re helping to plan the family’s next road trip. DJ recently booked the plane tickets for a trip out west where they plan to visit seven national parks. Related: Is the future of education teacher-robots bumping into walls? In the last decade, the number of full-time virtual schools has grown from a handful to over 450, enrolling more than 260,000 full-time students and millions more part time. The school tries to keep students connected to things beyond their computers. There are a few clubs, for instance, in which students talk online about shared interests, such as books and movies. Students also must do ten hours of community service each year. VLACS now takes these real-world connections even further by pushing the boundaries of how its students can master competencies. In addition to regular course lesson plans and written exams, VLACS students can demonstrate competencies through a number of “projects” related to different subjects and tied to potential career paths. For instance, students in Lisa Kent’s physical education and wellness course can assume the role of a fitness instructor creating a new workout class for a health club that will meet certain fitness goals (the class itself is hypothetical, but the student must do the workout for real); students make a presentation and craft promotional material for the class. In another example, a student of Bette Bramante’s assumed the role of a museum curator. Using historical research, the student created an exhibit to show how two local families from different social strata would have lived from day to day in the early 20th century. The project was intended to demonstrate the competency of drawing evidence from texts and applying that evidence to a persuasive argument. The student created a list of artifacts — toys, books and household goods — and diagrammed their placement in a museum space that would allow visitors to follow the families’ stories, which she wrote out on placards with citations for her sources. Soon, students will have even more ways to earn competencies. In the fall of 2013, the education nonprofit EDUCAUSE awarded VLACS a $450,000 grant to help develop “learning through teams” and “learning through experiences,” which will debut by this summer. According to VLACS’s website, “Teams” will feature collaborative projects in which students team up to “study and solve real world problems” in realms such as the health of forests and alternative energy. In “Experiences,” students will be able to develop a competency through, say, interning at a tech company, starting their own business or spending a summer in China. Students will work with teachers and academic advisers to plot out relevant projects that demonstrate their competencies, such as programming an app during the tech internship or producing an online tour in Mandarin during the summer abroad. Ultimately, the plan is for VLACS students to compile a digital “backpack” of competencies they have developed through whatever combination of coursework, projects, teams and experiences they choose. 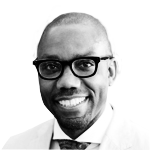 As Andy Calkins, deputy director for EDUCAUSE’s “next generation learning challenges” program, which awarded the grant, pointed out, these choices will be available for full-time VLACS students as well as part-time students based in traditional schools. In the next few years, as VLACS implements this new model, there will be “two million-dollar questions,” according to Calkins. First, will the school continue to succeed on traditional measures, such as standardized tests? And second, will it help students gain a strong set of so-called 21st-century skills such as analytical thinking and creative problem-solving? If these new blended approaches succeed, VLACS could be a national model for truly personalized, experiential learning, according to Julia Freeland Fisher, director of education research at the Clayton Christensen Institute, who wrote about VLACS in a 2014 report on competency-based education in New Hampshire. Can social media nudge teens into smarter money choices?